I'm finishing out my first week in Romania, with two more to go. You can follow along with my near daily reports at KernelsOfWheat.com/facebook; and, no, you don't need to have a Facebook account to read the entries and see the photos I've shared. The Lord, in His wisdom, didn't provide for Denise to go; it turns out that she was needed for emergency “grandma duty” and she had to drive to Florida the day after I flew to Eastern Europe. 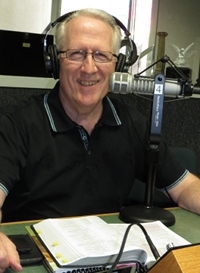 We were invited by Pastor Ray Greenley to minister at National Prayer Chapel, which Ray pastors, and to join him as his guests for three days on his live radio program, Pilgrim's Progress. We operate “without a net” (that is, without a script), and the subject for the day turned out to be conscience.